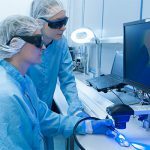 Join us at Medical Technology Ireland 2017! 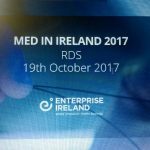 Home / news / Join us at Medical Technology Ireland 2017! We are pleased to inform you that we will be exhibiting at Medical Technology Ireland 2017 from the 27th to 28th September, Galway Racecourse, Ballybrit. Members of the Advant Medical Team will be on hand to discuss your medical device manufacturing requirements. You can register now for FREE entry to the event!